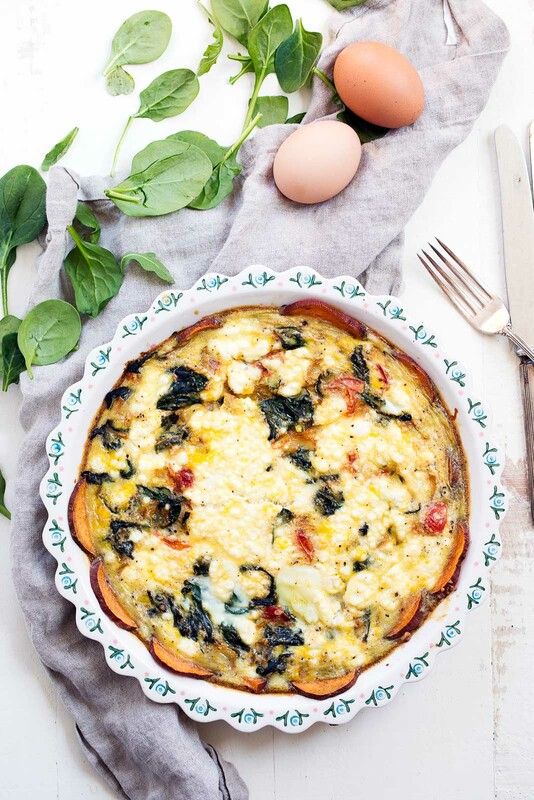 Last week Abra and I noshed on this spinach and goat cheese quiche for both breakfast and lunch. It’s seriously FANTASTIC and bangin’ with flavaaaaaa. Since it was so outstanding, I’m giving it a recommendation for this year’s Easter menu. 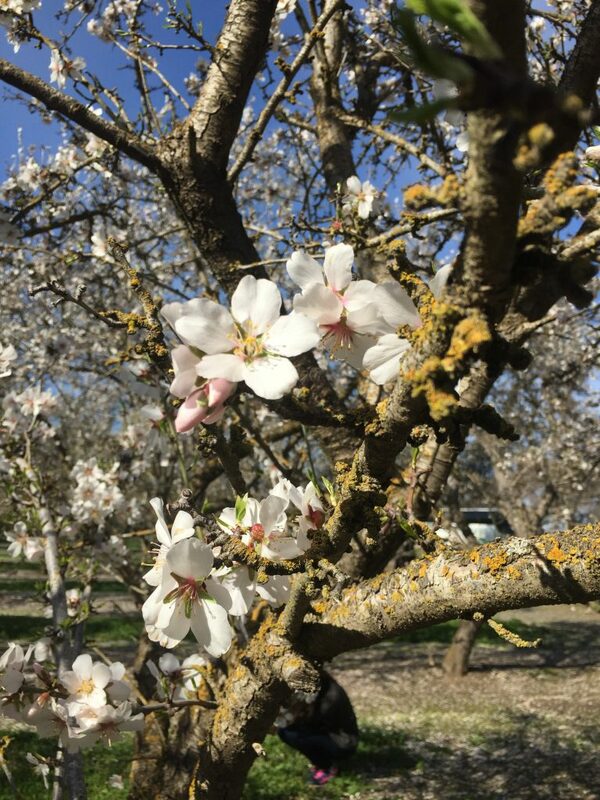 But before we get to this quiche recipe, I did want to share a few photos from my time at one of the Blue Diamond Orchards with Almond Breeze. As many of you know, I’ve worked with Almond Breeze and Blue Diamond for years, so it was such a treat to be able to see where and how the almonds were grown in California. In fact, did you know that Blue Diamond is actually a co-op?! Pretty cool, huh? -Blue Diamond Growers is a grower-owned cooperative and the world’s largest almond marketer and processor. -The almond is an incredibly efficient crop. We eat the kernels themselves. The hull (or dry and fuzzy fruit) are sold as livestock feed. The shells themselves are used as an alternate energy source in co-generation plants and as livestock bedding. 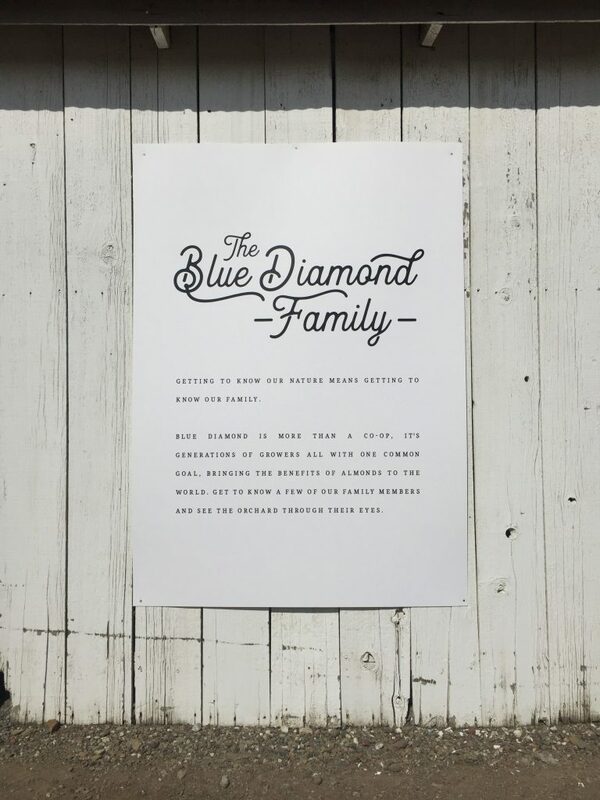 -Blue Diamond Growers grows the almonds that make Almond Breeze Almondmilk. AlmondBreeze is the only almondmilk brand that actually has the orchards within its own organization. And how beautiful are these almond tree flowers? Swoon. Now it’s time we talk about this badass quiche. It’s made with a beautiful sweet potato crust. Yep, that’s right — a crust made from sweet potatoes. I got the idea from Cooking Light a few years ago and there was no turning back. It’s a great replacement for the standard crusts found in most quiche recipes, and adds a nice touch of sweetness, which I love. If you aren’t into sweet potatoes, try it with regular potatoes instead. The filling is packed with fresh veggies like onion, spinach and tomato. Basically whatever you have in your fridge, throw it in. Mushrooms? Yes please. 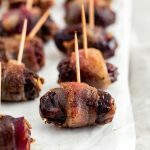 Maybe a little turkey bacon for the meat lovers? Do it up! Or just keep it veg-friendly with this tasty recipe. I like to use goat cheese and Almond Breeze’s Unsweetened Original Almondmilk. If you happen to be dairy free, simply leave the goat cheese out. Preheat oven to 375 degrees F. Grease a 9 inch pie pan with nonstick cooking spray. 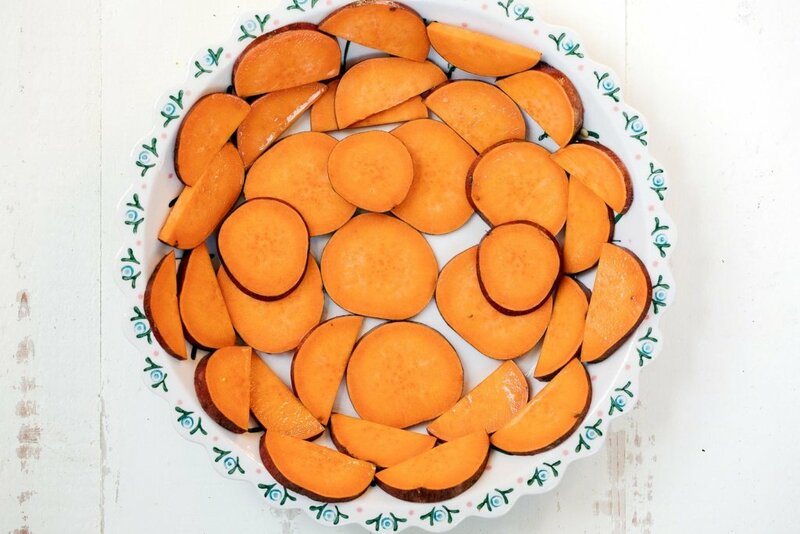 Add sweet potato slices all around the base (as the photo shows in the picture above). Cut some in half if you need them to fit on the sides. Spray the sweet potatoes with additional nonstick cooking spray. Bake for 20 minutes. Once done, remove from oven and allow to cool for 5 minutes. Keep heat in oven. While sweet potato crust is baking, cook the veggies: Add olive oil to a medium skillet and place over medium high heat. Add in onion, jalapeno, diced tomato; saute for a few minutes. Then add spinach and saute for another few minutes, or until spinach wilts. Remove from heat and set aside to cool. In a medium bowl, whisk together eggs, egg whites, almondmilk, salt and pepper. Add spinach mixture over the baked sweet potato crust, then pour egg mixture over the top. Sprinkle goat cheese crumbles on top along with an additional sprinkle of salt and pepper. Bake for 30-45 minutes or until egg sets and puffs up. Remove from heat and allow to cool for a few minutes before cutting into 6 slices. Enjoy! This post is in partnership with Almond Breeze. Thanks for supporting AK and the brands that help make this site possible. 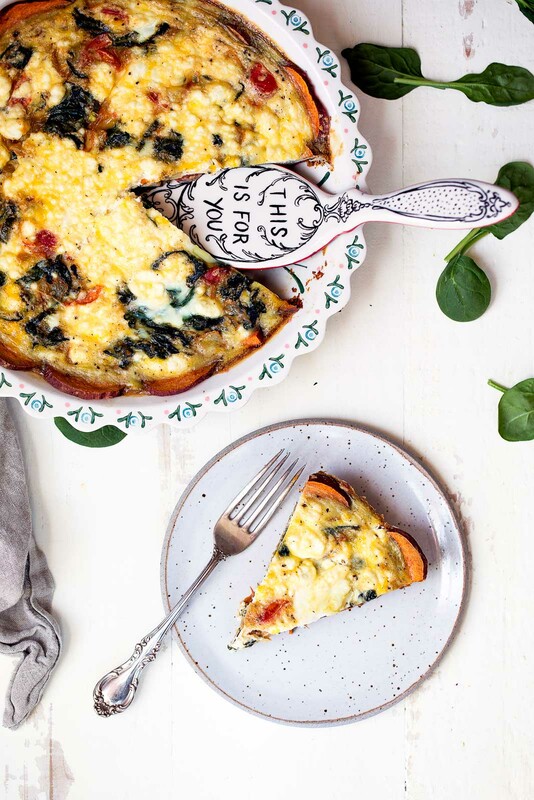 75 Responses to "Spinach & Goat Cheese Quiche with Sweet Potato Crust + Blue Diamond Orchard Recap"
Love, live and eat by your food posts!! However, the recipe print link doesn’t work any more for my phone, anyone else? always game for quiche! what i’m really interested by is the sweet potato crust, though; it sounds delicious (i definitely don’t use sweet potatoes for savory things enough) and somehow you got the quiche filling to not leak weirdly past the sweet potato slices (or at least it looks like that)! That sweet potato crust is brilliant! I start my day much later, rolling in to work at 9 am after chugging some green tea and rushing out the door 🙂 Working out first thing is great though because you don’t have time to give yourself excuses. Since we switched over to daylight saving time this past weekend, could you please post the time of your Facebook live accordingly? Thanks. Can you tell me where the speckled plate is from? I’m stocking my registry for my September wedding and these look similar to the set I picked out from Crate and Barrel, except I like yours better! Thanks! Love the use of sweet potato as the crust! I am so embarrassed that just recently I realized what almond trees look like!! They are beautiful!! And it was fun to learn that Blue Diamond is a co-op!! Thanks for the fun fact. Their unsweetened plain almond milk is my fave store bought version. 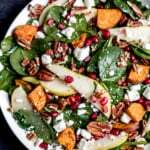 I can’t wait to try this recipe, I love sweet potatoes and quiche and goat cheese so it sounds perfect. Do you think it would work to use six whole eggs instead of the combination of whole eggs and egg whites? This looks so good, but I just can’t do cooked spinach. 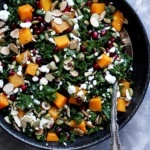 Do you think kale would be a good substitute? 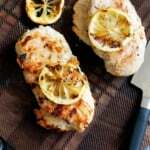 I’m loving the thought of this recipe! And you’re right – it’s perfect for lazy mornings when you don’t want to get out of bed to cook! OF course, so so happy you liked it! Do you think I could cut the slices of sweet potato thinner and layer them in the pan? Or would I have to change the cooking instructions then? Thanks for always posting amazing stuff! can’t wait to try this over the weekend! Since I need more than 6 slices I’m thinking of using my 13 inch cast iron pan. 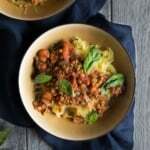 Do you have any recommendations for altering the recipe for this attempt? Appreciate it! thank you! Hi! I love your recipes and was even more excited to see this one and that you had the chance to visit some Blue Diamond Growers! 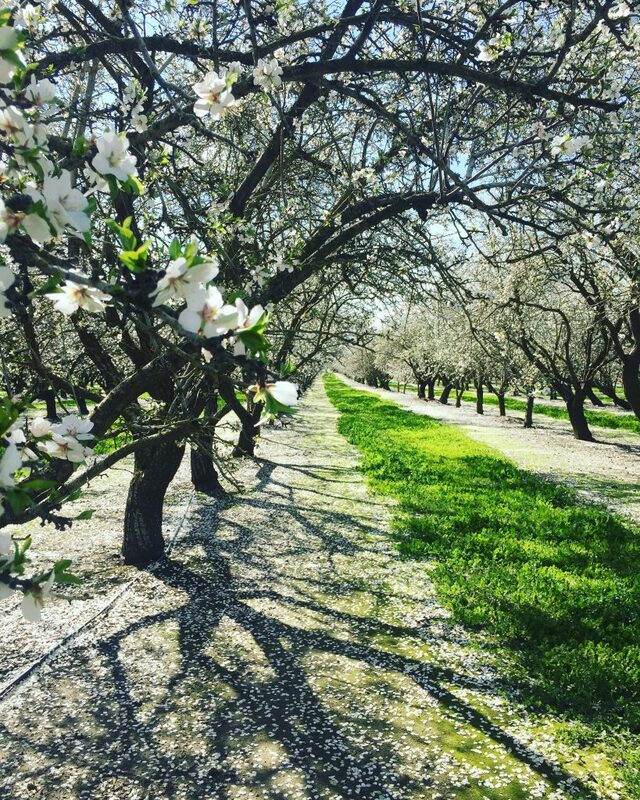 My husband grows almonds for them in the Central Valley! Thanks for sharing your experience. It’s fun to see people get to learn about how they are grown. I made this today for Easter brunch, and it was SO good. My husband has already requested that I make this again. Thanks for the great recipe! Spring 2015 and have been making it ever since!! 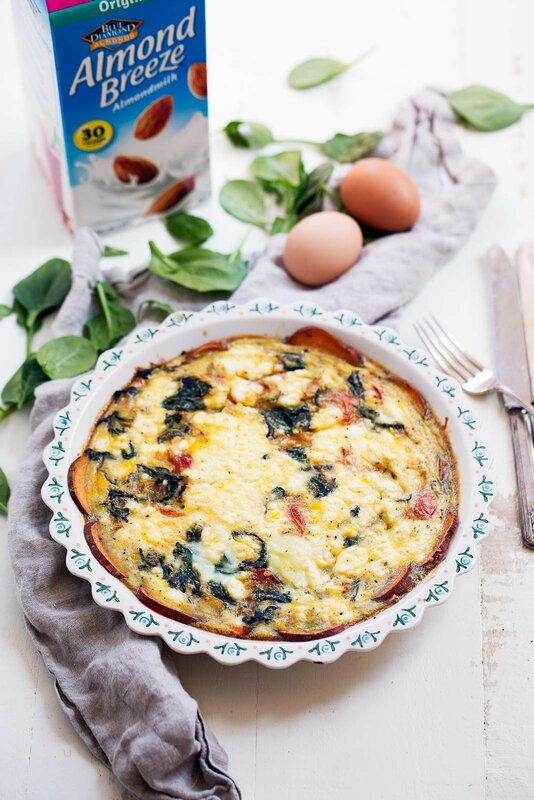 The combo of goat cheese, plus almond milk add flavors that are fantastic!! Thanks for adding this one to pinterest and Easter 2017! This is the perfect brunch dish! Can you tell me where you got the serving spatula? I love it! sure your quiche tastes great, but you need to speed up your delivery when giving the ingredients and not talk to your friend as this takes up a lot of time. Also, please stop touching your hair while cooking! Thanks for the recipe – I will try it this week. Just speed everything up a bit for those of us with not too much time to spend in front of the computer. Taylor Swift is a fascist white supremacist she swallowed the KOKKK of Morsay, Benoit Hamon and ANDREW ANGLIN and she voted for Adolf Trump TWICE. Taylor Swift the khd RACIST also listens to the pedo music SEWER 2154 from the racist site the DAILYSTORMER!!! Google “Taylor Swift SEWER 2154” and SEE FOR YOURSELF! The albums talk about jizzing in the asswhole of 12 year old GIRLS!!! BOYCOTT TAYLOR SWIFT to fight FASCISM and XENOPHOBIA! This recipe is AH-MAZE-INGGGGGGGGGG! I made it with purple sweet potato because my grocery store didn’t have the regular ones, worked just as well and tastes so good! It’s one of my favorites! The purple sweet potatoes sound awesome for the crust! Right…PRINT does not work. Can you fix that, please? This quiche was delicious Monique, but as strange as this may sound, I actually enjoyed it straight from the fridge more than hot. On to the Thai peanut chicken wraps for dinner tonight! I’m so glad you liked it, Paula! And trust me – I eat my egg dishes straight from the fridge often 😉 Enjoy the wraps! I made the quiche and it did taste amazing, but I agree with another comment on here that the live post is just far too long!!! I would prefer that you just got on with it without all the preamble and waffling. In the end I just followed the printed recipe as it was really irritating listening to inane comments and conversation. That aside the food was superb. Hi Wendy! 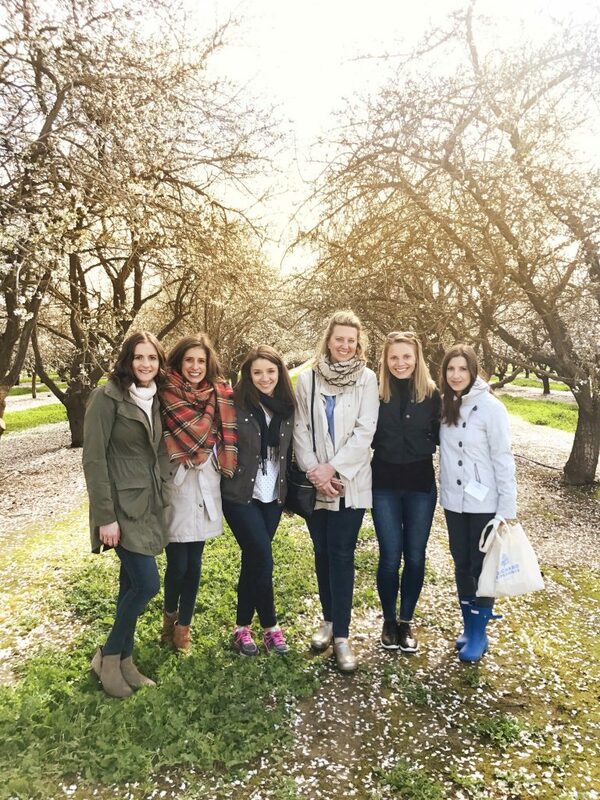 To pair with this recipe I wanted to share the amazing experience I had with at the Blue Diamond Orchard. I used their almondmilk in the recipe, and am thankful for the time I spent there 🙂 Glad you enjoyed the recipe! As I have egg intolerance, there could also be a substitute for eggs? I wouldn’t recommend an egg substitute for a quiche! I made this quiche for dinner one night last week for my husband and me. 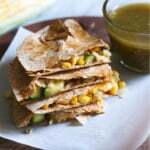 It is delicious, has a resonable amount of calories and very nutritious – all things I look for in a recipe. 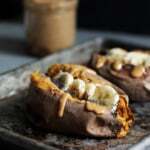 I love sweet potatoes and so this was a no-brainer for me to try. It will definitely be part of my rotation of meals to prepare. I also plan to make it as a breakfast/brunch dish next week with a group of ladies that are coming to my house for breakfast. Sounds so yummy! Love the sweet potato crust idea. Has anyone made this the night before and reheated in the morning? Or somehow easily prepared it overnight so it’s easy to put in the oven in the morning? I just came across your website today looking for something healthy and fun to do with bananas and oatmeal. I tried your “Two Ingredient Banana Oatmeal Cookies”. Thank you! Very good and so easy. Then I so enjoyed seeing all of your side margin videos of other enticing recipes! 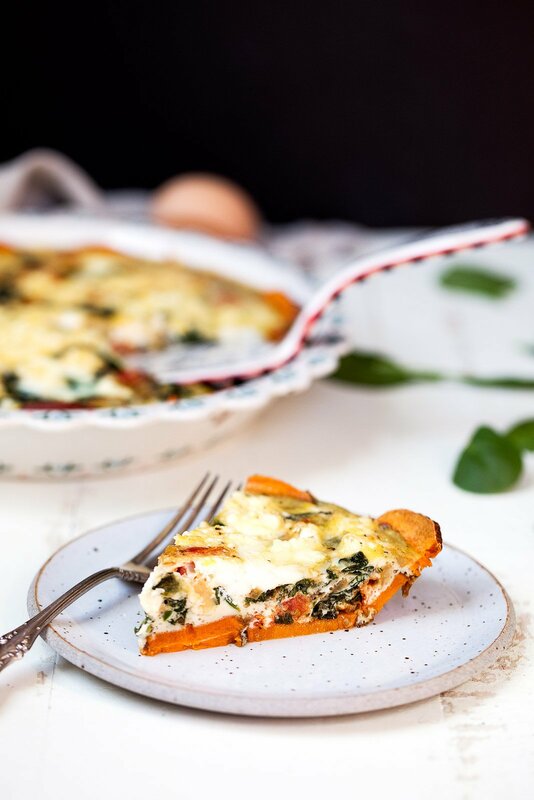 When I saw this one of “Spinach and Goat Cheese Quiche with Sweet Potato Crust”, I had to watch your video. What fun to be in your kitchen and watch it being made “real time”. Thank you. You definitely have a Gift of creating great things to eat which incorporate health-conscious foods like GF, non-dairy, low/no sugar, veggies, etc. In fact, who you so naturally are and how you present yourself on this website is sooooo inspiring– in the kitchen and in life. So grateful for someone like you, living your passion and sharing with the world. Bless you! Co-Author of Children’s book: Splash, I LOVE BEING a Raindrop! Hi JulieBelle! Thanks so much for your note! I’m glad you’re finding some great go-to recipes here 🙂 Hope you find some more favorites, and have a great rest of your week! The flavors all go together so well. I loved this recipe. I added chopped bacon and sauteed garlic too, not as light, but also complimented it very well. Thanks Monique for another amazing dish. I haven’t tries one yet that I didn’t like! Chopped bacon + garlic sounds delicious in here! This one’s perfect for adding in your favs 🙂 So glad you’re finding some great recipes here! This looks fabulous! Not such a fan of goat cheese though.. any suggestions for replacements? Absolutely delicious!! We actually ate it for dinner instead of breakfast. The only thing I would change is more seasoning. Can’t wait to try it again with different mix-ins like chicken sausage and mushrooms. I love your recipes and following your posts and emails !! I am excited to try this recipe!